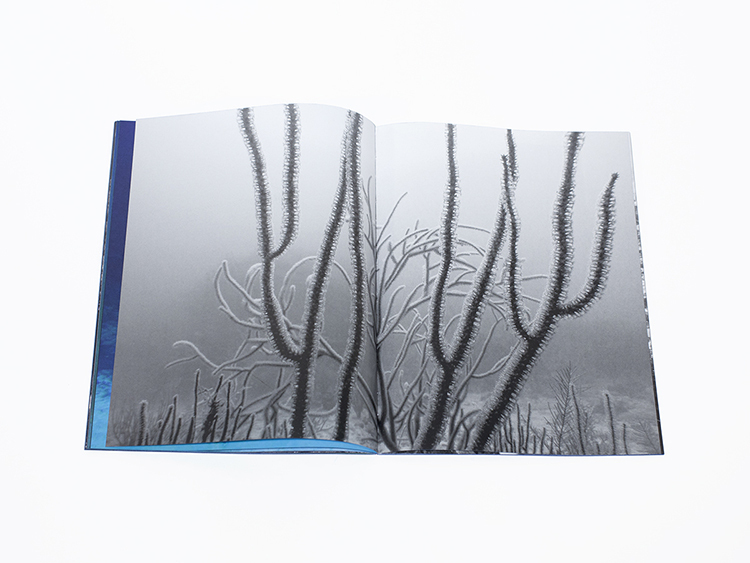 After a brief hiatus, I am pleased to revive the artist interviews for fototazo's Independently Published Photobooks. My intention behind this column has always been to fill a niche I thought was missing from the regular discourse on the artist book. That niche being an in-depth discussion with successful book artists – all of whom come from a diverse array of perspectives and experience - on the conceptual and aesthetic deconstruction of the artist book, while also drawing a clear focus on demystifying the various ins-and-outs of the publishing world. It is my hope that this series of interviews can function as a collective resource for anyone looking to publish their own work. 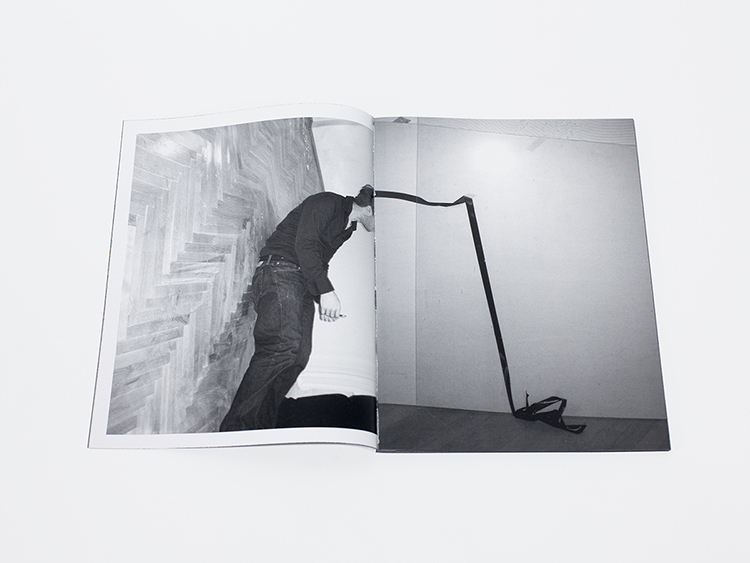 Previous installments of Independently Published Photobooks include conversations with Christina De Middel, Paccarik Orue and Lex Thompson. 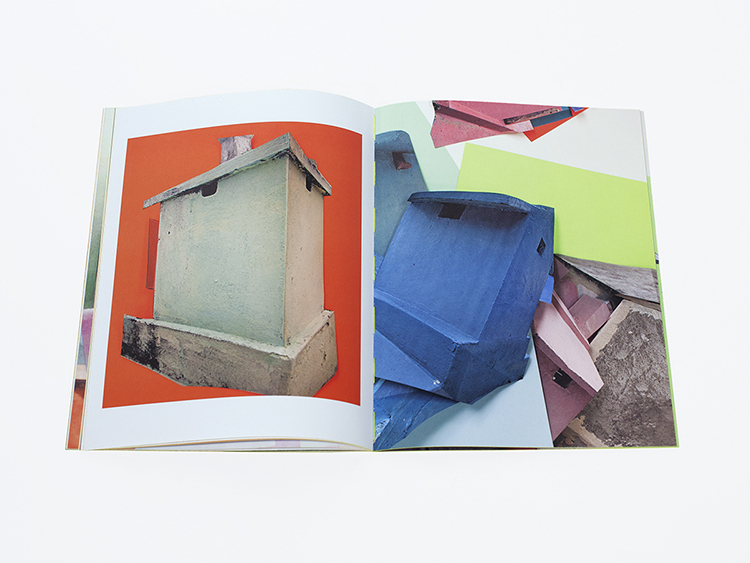 To date, the prolific Dutch artist Anouk Kruithof has published 11 books. Some of these titles have been self-published, while others have been in close collaboration with independent publishers such as Editorial RM, RVB, KODOJI and Little Brown Mushroom. She also works alongside some of the best designers in the art book world, so her inclusion in this column seemed a perfect match. 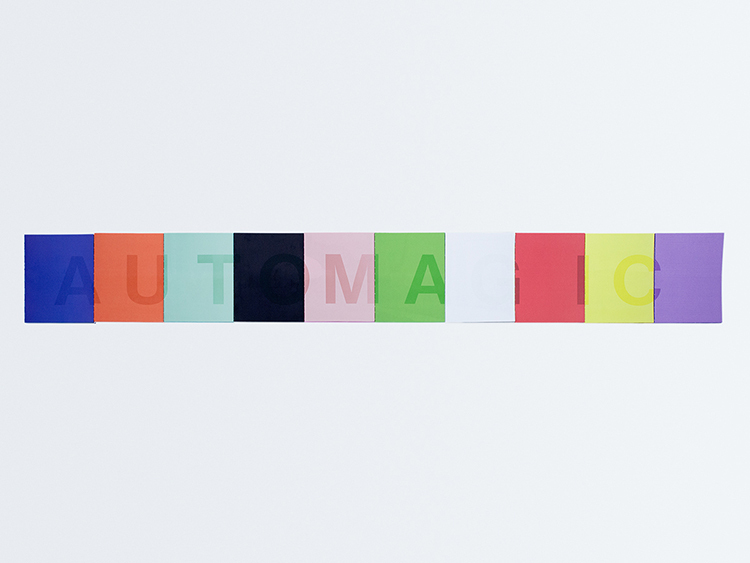 Kruithof's new title, AUTOMAGIC is quite possibly her most ambitious book yet. It is at first a book-object - representing the playful nature found elsewhere in the artist's sculptural and visual installations - while also serving as an exploration into the representation of the image archive. 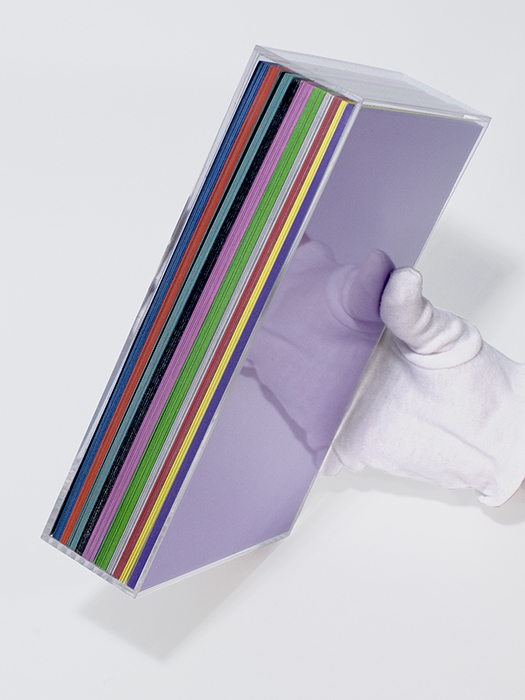 Slipped into an acrylic case, the 9 individual books that make up this work form a multi-layered viewing experience that is an intrepid venture into the possibilities of the medium of photography. Anotone Dolezal: First, Congratulations on your new book AUTOMAGIC! 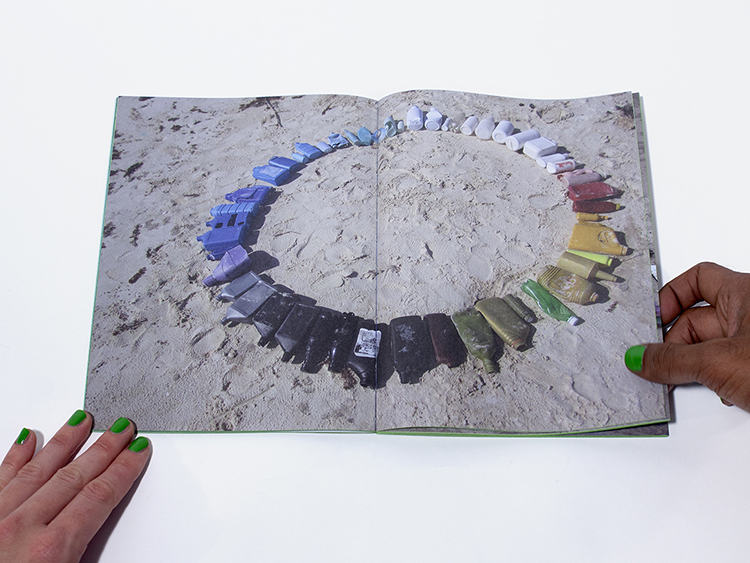 Could you give us a brief introduction to the new book and how the concept and design came together? Anouk Kruithof: AUTOMAGIC started out with a massive amount of photos, thousands that I took between 2003 and 2015 with small digital cameras, which later were replaced with successive versions of iPhones. Rapidly, this enormous archive of images grew and developed quite playfully. But it was a long process to arrive at the moment to start thinking that this archive could turn into a book project. In the first, let's say 8 years, this was never an idea. But in 2011, I started making a first selection by looking at all those images and questioning them in their relation to the others. The only thing I knew was that I didn't want this book to have a clear narrative, because it exists out of a very wide collection of images made everywhere that I travelled to or lived in. The whole point was the idea of mixing an enormous, mostly travel photo archive without the obvious organizing based solely upon chronology for example. I took the freedom to mix up all origins of the images in one big pot and stir it around for years. Looking at them, thinking about them, de-contextualizing, interpreting and reworking them into the nine different image chapters which together with this one textbook now form the ten separate books which constitute AUTOMAGIC. It is an attempt at erasing geographical locations and borders and to unify people. I like to see the book as a holistic idea. Maybe pretentious? Maybe impossible? That’s fine. It's about ideas. AD: When we last spoke, you had mentioned AUTOMAGIC incorporates more of a personal narrative than past work. I imagine this was largely due to how the images you were mining informed one another. Is this an accurate assumption, or did you intentional set out to create a book that spoke more to your personal story? AK: The source of AUTOMAGIC is a large group of images that I took mostly following my intuition to see where this led me; it’s more personal I think, because what you see here is my pleasure in being an image-maker. I always made images loosely, freely, playfully next to my more conceptual project-based practice. I would say it’s a natural habit ingrained in me. I am always seeing things around me and photographing them, kind of like sculpting in the world out there. The images are not snapshots, they are more playful, registered moments. Sometimes what I photograph is more organic, while other times it is more deliberately constructed. Actually, I did not put any value on this growing archive of images up until I had enough images that it felt legitimate to make a new book out of. This wasn't the case until April 2011, but I started producing these images many years earlier, when I was still studying at the art academy, around 2002. 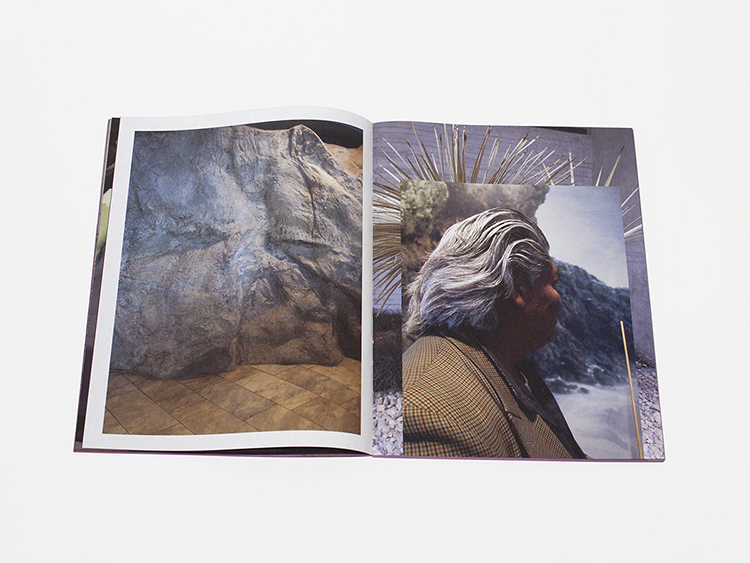 AD: A big reason I wanted to bring you into the dialogue set up through this column is because your books accentuate the importance of the artist book as object. Your work extends far beyond the conventions of photography through the incorporation of sculpture, installation and performance. I'm curious to know how these various modes of working merge together and inform one another to construct your practice as a book artist? AK: To me there is no hierarchy actually in how my works find their existence in the outside world. Publishing is liberating and democratic, it's exiting to see how works (books) can find destinations all over the world into the shelves and hands of people you have no idea about actually. The artist book is intimate and has no opening hours. Distribution of books is democratic. When I am invited for exhibitions, I am considering space, time and public as elements to work with, which is way less "framed" than the space of a book obviously. My works always start with topics of my interests which I transform into ideas, according to the framework of invitation, the final works can develop in all these various outcomes; installations, public interventions, performances, sculpture, photo-montage, video, photos, artist-books. It's more that the way I think and make never has a fixed frame around it, so that the nature of the final work can vary in quite a wide palette. The worst feeling to me would be if I repeat myself. AD: With some of your books you take the responsibility of designer, however it seems like another contributing factor to the success of your books is the designers you work with including Christof Nussli, Hans Gremmen, Piera Wolf, Hans Seeger and Quentin Walesch. Can you elaborate on the difference between going it alone compared to working with an outside designer? How does this process transform your own notions and concepts about the work and where do the strengths lay in hiring a designer you trust? AK: I am always quite strongly involved in the design of my books, but I work with designers I admire and respect, and therefore a deep conversation starts the process of developing books and they come out in a very close collaboration between the designer and myself. Maybe only in the case of "Happy Birthday to You" I really did the handicapped design on my own out of urgency, it's quite funny, that book is almost a mentally confused design I have to admit, but it became a success, not sure if that has to do with the design though, probably with all the ingredients the book carries, from the birthday topic, to the close collaboration with the patience and their favorite colors. AD: Although you self-publish some of your books, you have also worked with many different publishers including Little Brown Mushroom, KODOJI, Editorial RM, RVB, Onomatopee, Revolver Publishing, Episode Publishers. Can you tell us a bit about the differences and the benefits between self-publishing and having the support of a publisher? AK: Indeed I self-published a few books: "Happy Birthday to You", "Untitled(I’ve taken too many photos / I’ve never taken a photo)", "NEUTRAL" and now AUTOMAGIC halfly, because it is a publishing collaboration between myself (stresspress.biz) and Editorial RM. We deal with the book 50:50. Working with several publishers brings strength, when you self-publish you don't have a proper distribution for your book and that makes it harder or maybe slower, a bit more mouth-to-mouth spread around or doing a lot of effort in getting your books into stores around the world. I think in the sense of making the books, there is an uncompromised outcome within self-publishing and it is fast and creatively and intellectually liberating, but in terms of the distribution and presentation, it's way more interesting to collaborate with publishers. There are some many good art book publishers out there in the world. They have their own distinctive discourse and work methods; it's an honor to work with these publishers and it is not to underestimate the work they do. I clearly know this now after seeing the work ethic of various publishers. It's not easy. Art or Photobook publishing is not lucrative, it's for the heart you're doing it, otherwise you better forget about it. But it's also that your book has to fit in the frame of a publisher to obtain a relation. I think the reason why I have worked with so many different publishers and self-published as well is the nature of my work. My work is not so easy to pin down or try to drag through a closed tunnel. My work is eclectic and this resonates also in the various ways of how my books find their existence. From collaboration with publishers and designers I learn a lot, that's as well what attracts me in any kind of collaboration actually. AD: There is an apparent consideration in who you choose to work with regarding book publishers. I imagine you don't go for the pay-to-play platform that has recently saturated the photobook market. Can you talk a bit on your personal criteria and the importance of how you decide which publishers you choose to work with? AK: Maybe it's more that solid classic photobook-publishers would never want to work with me haha… Some of my books (Playing Borders, Pixel-Stress, Untitled (I’ve taken too many photos / I’ve never taken a photo) The Daily Exhaustion, Happy Birthday to You) are not easy to bring out, the loose leaflet formats, folded posters and unstable books which can barely stand on a shelf or fall apart when you take them out of the plastic sleeves. The loose elements are an understandable horror for many bookstores, taking in consideration exceptions such as motto, printed matter, smaller independent art or photobook stores, we should all praise for their work and existence in the digital age. 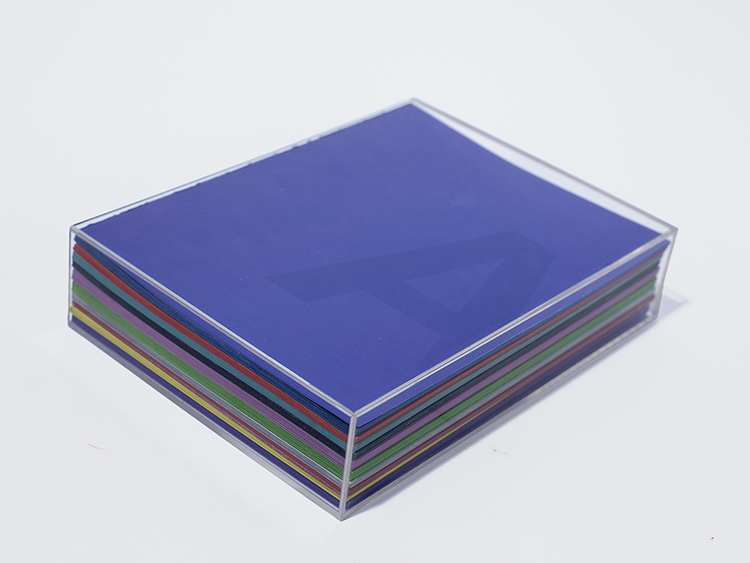 Even AUTOMAGIC is hard because it's fragile, the plexi-box is delicate and the 10 books inside have no covers which makes them fragile too. There are a huge amount of bookstores who say no to this book-object, but anyway the way I make books I am not concerned with the elements which can make the book a success or easy to sell. It's not important to me at all. When I was younger maybe I thought that's relevant but not anymore, a book can have a slow life too and it's beautiful when an edition over a couple of years, 3, 5 or even 10 finds the right owners who love the book for what it is. That's my goal and nothing else. AD: On that note, what is your advice for other artists looking to get their work published as a book? AD: Speaking of the Anamorphosis Prize, alongside John Phelan, you recently established this award to celebrate the rise and excitement behind self-publishing. The reason I love this competition so much is first, it's free to enter and also the shortlisted books are fairly esoteric and surprising. 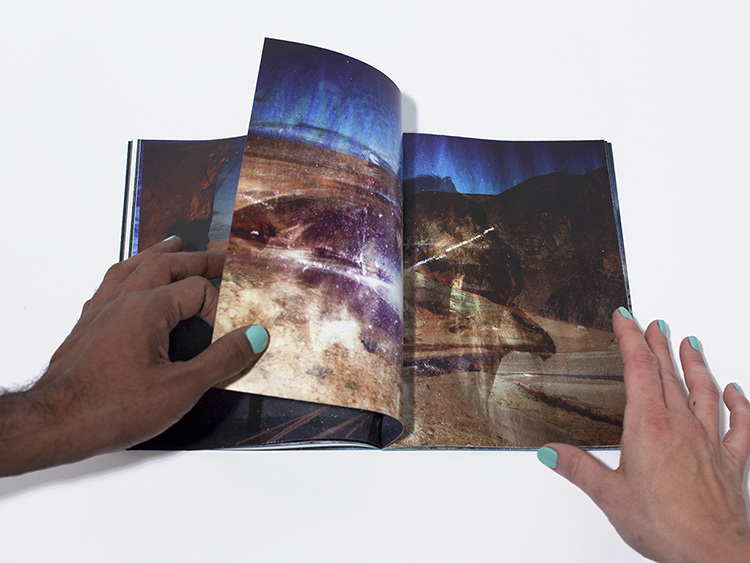 How has being a founder and juror for this prize changed the way you view the world of the self-published artist book? What are you surprised by and excited for when viewing these books? AK: I feel I am privileged to have a peak into all of these self-published photo-based books from all over the world, which get sent in for the Prize's edition, because of the fact that among the submissions literally the best books of the year are there and books which you could never imagine in extremeness of either content or form are there. Mostly I learn from looking at books, judging them, writing about them for the jury rapport and the special mentions, it stimulates myself and my practice too in the intense and challenging process of reviewing and judging the books with the most incredible minds of the other jury members, Charlotte Cotton, John Phelan and Martha Wilson. Anouk Kruithof is a Dutch artist, working between Mexico City, New York City, and The Netherlands. She has exhibited internationally at institutions such as MoMA, New York; the Stedelijk Museum, Amsterdam; Sprengel Museum, Hannover; and Multimedia Art Museum, Moscow. Her work is in the collections of Fotomuseum Winterthur, Aperture Foundation, FOAM, and the Stedelijk Museum. Anouk Kruithof is one of the five nominees of the Volkskrant Beeldende Kunstprijs 2016. Kruithof runs the publishing platform stresspress.biz and is co-creator, director and jury member of the Anamorphosis Prize. Antone Dolezal is a photographer currently residing in Syracuse, NY. 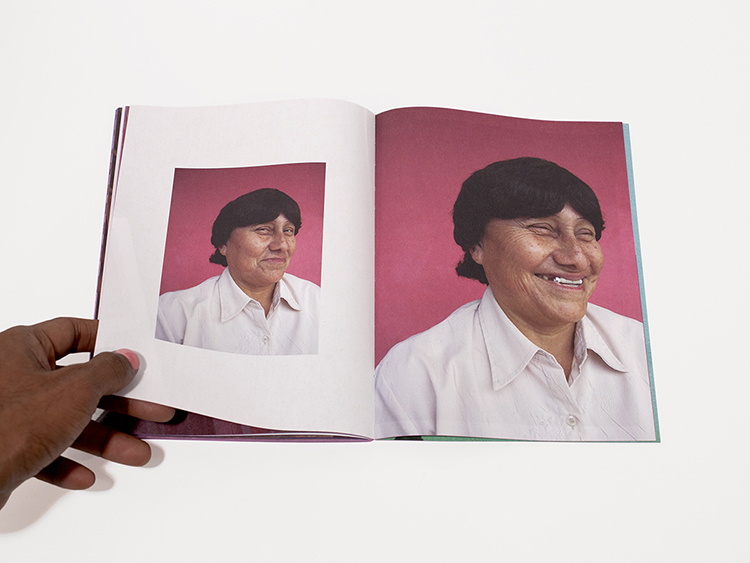 His photographs have been shown widely, including exhibitions at 555 Gallery (Boston), Candela Gallery (Richmond), Filter Space (Chicago), Museo Nacional de Arqueología y Etnología (Guatemala City), photo-eye Books & Prints (Santa Fe), Webber Represents Gallery (London), and are held in various private and public collections including the Museum of Modern Art Library, Museum of Contemporary Photography, New Mexico Museum of Art, and the Nelson-Atkins Museum of Art (Kansas City).